"The good news is that since the start of the operation in North Kivu there are now over 1,200 FDLR [Forces democratiques pour la liberation du Rwanda] combatants who are to return to Rwanda," Kabila told reporters in Kinshasa on 31 January. The UN Mission in DRC (MONUC) is not taking part in the military operations but has promised support for the voluntary repatriation of combatants through a disarmament, demobilisation, repatriation and reintegration (DDRR) programme launched in 2002. In January, at least 200 combatants were repatriated, said Bruno Donnat, the MONUC DDRR officer on 2 February. The figure is an increase on the 70 who were repatriated over a similar period in January 2008. MONUC had set up five centres to support those wishing to be repatriated. Kabila said there were an estimated 5,000 combatants in North Kivu Province, among them different armed groups including the FDLR, which contains militias including some who participated in the 1994 Rwandan genocide. The operation started on 20 January. Last week, the two armies said they had seized control of Munzenze, a former FDLR stronghold. The locality is in Virunga National Park in Rutshuru. At least 83 guns as well as a large quantity of different calibres of ammunition were also recovered, they said in a 31 January communiqué. Since the start of the operation, said a spokesman, Capt Olivier Hamuli, an estimated 20 Hutu Rwandan combatants, mainly from the FDLR, had been killed. "The result should be, in my humble opinion, the return of peace and stability in the province of North Kivu and the start of the reconstruction of the two Kivu provinces," Kabila said. The joint operation against Hutu combatants as well as one against Lord's Resistance Army (LRA) rebels, which is being carried out jointly with the Ugandan and southern Sudanese army in the northeast, "should not go beyond the month of February," he said. The LRA is active in parts of northeastern DRC. It recently launched attacks against civilians, killing hundreds, according to Human Rights Watch. Asked about demands by human rights organisations that Bosco Ntaganda, the leader of the Congrès national pour la défense du peuple (CNDP) movement, be handed over to the International Criminal Court (ICC) to face war crimes, the president said he preferred to ensure peace and stability in the east. The ICC has indicted Ntaganda for crimes committed in the northeastern district of Ituri. "The option is whether to hand him over... or peace and security for our population in the east. For me the choice is clear... the option for us is the stability, the security of our population," Kabila said. Kabila, however, said Laurent Nkunda, former CNDP leader, should be brought back to the DRC. 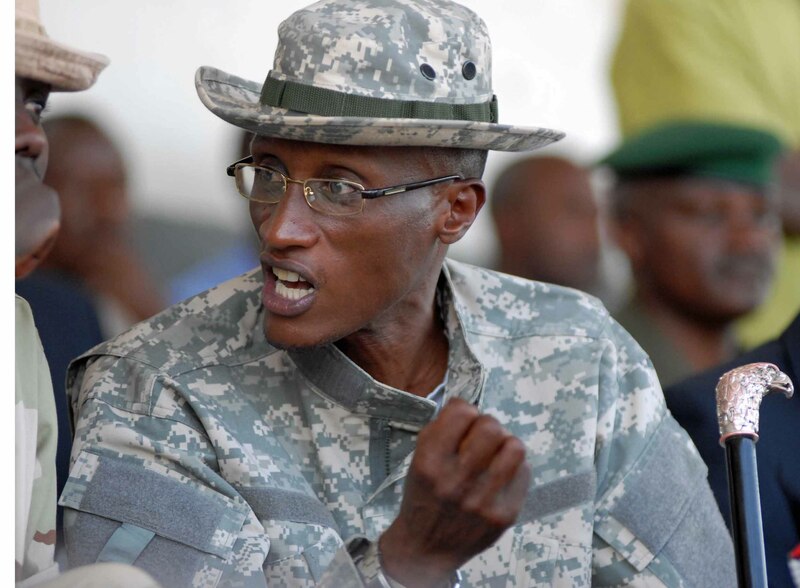 Nkunda was arrested in Rwanda on 22 January, days after the launch of the operation against Rwandan Hutu militia. According to the government, the CNDP has agreed to disband some members expected to be integrated into the army. The group has also verbally agreed to release all children in its ranks, according to the UN Children's Fund.